Henrietta Street is the earliest Georgian Street in Dublin – it is the model from which Dublin’s Georgian identity is derived. Construction on the street started in the mid-1720s, on land bought by the Gardiner family in 1721. Construction was still taking place in the 1750s. Gardiner had a mansion, designed by Richard Cassels, built for his own use around 1730. The street was popularly referred to as Primate's Hill, as one of the houses was owned by the Archbishop of Armagh, although this house, along with two others, was demolished to make way for the Law Library of King's Inns. The street fell into disrepair during the 19th and 20th centuries, with the houses being used as tenements, but has been the subject of restoration efforts in recent years. There are currently 13 houses on the street. The street is a cul-de-sac, with the Law Library of King's Inns facing onto its western end. It is also a popular period location for film and TV companies. Among the productions filmed there are Albert Nobbs, Inspector George Gently and Foyle's War. No 3 has been vacant for a number of years and does not appear to be maintained. Most of the external fabric remains, but there are obvious signs of deterioration, particularly water penetration, slipped slates and vegetation growth and arson. There is no immediate danger of collapse but the condition is such that unless urgent remedial works are carried out the building will sharply deteriorate. Its location on Henrietta Street makes it part of one of the most important groups of Georgian townhouses to survive in Ireland. No. 3 was built circa 1755 for Owen Wynne, MP and contains spaciously proportioned interiors with good quality plasterwork and carved woodwork. The house is held in the ownership of Marie Underwood, who has over many years repeatedly declared her aim to restore it as a museum. 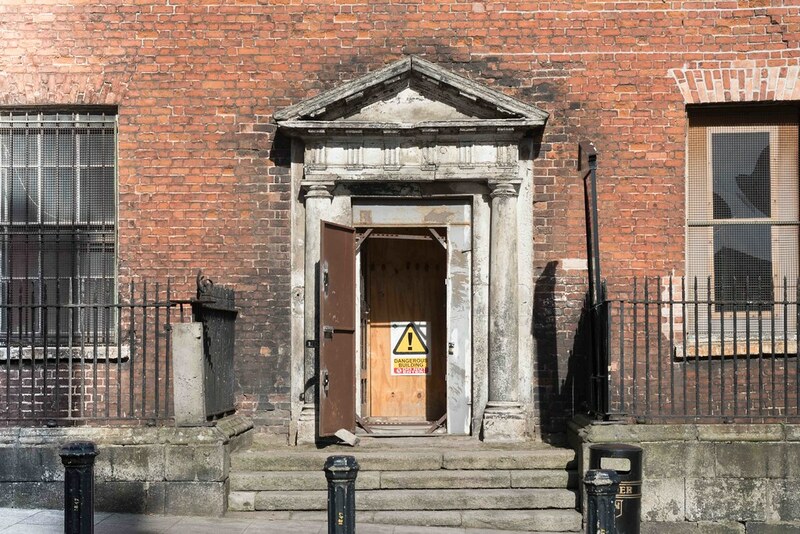 However, no such works have been carried out although structural stabilisation works carried out by Dublin City Council. A fire occurred in the building in October 2014 as a result of tyres being stockpiled in the basement. This building urgently requires new uses to be identified to prevent integral features being gradually lost.